What impact will a genius scientist have on the lives of Kirito and company? Bandai Namco has detailed the story, latest characters, and basic actions for its upcoming PlayStation 3 and PS Vita RPG Sword Art Online: Lost Song. 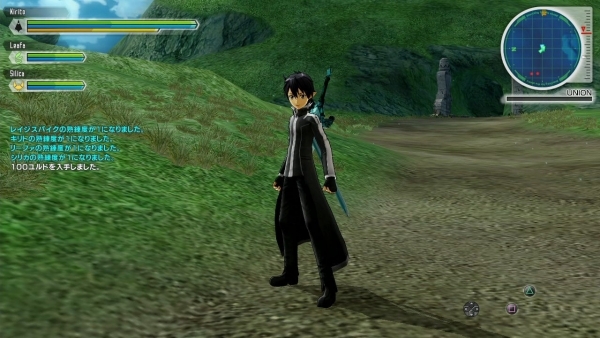 Having arrived at the floating city of Line, Kirito and the other members of his party encounter a guild by the name of “Shamrock” as they go about clearing a set of new quests that have gone online. 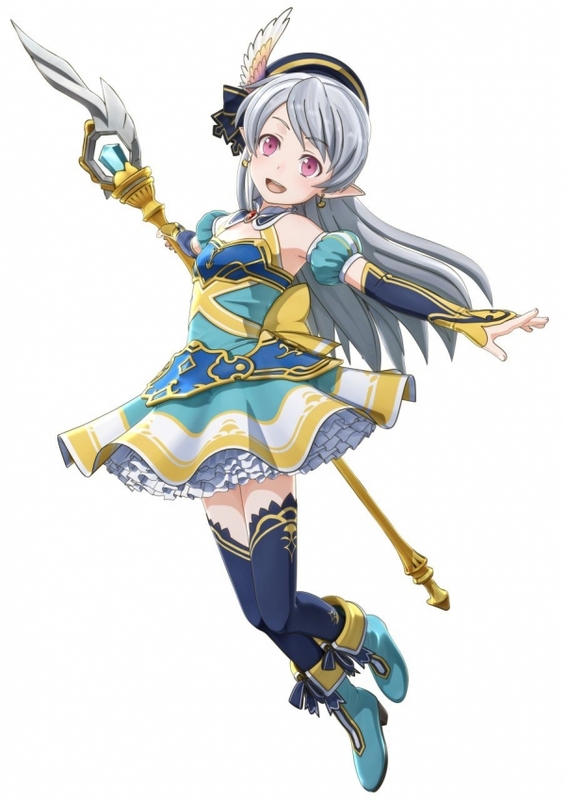 As a guild composed of veteran players across myriad races, in the world of Alfheim Online, Shamrock is a guild that people can’t help but notice. Arguably the most conspicuous of Shamrock’s members is Professor Sharvin Nanairo, who’s in reality a petite girl. Nevertheless, her looks are deceiving. An alumni of MIT, she’s appeared in the news a lot in recent times as genius girl wonder scientist and is conducting research on virtual societies formed within networks. Put simply, if Akihiko Kayaba, also known as Heathcliff, is the darkness belying the world of Alfheim Online, then Rainbow Arshavin is its light. Indeed, it’s by meeting her that Kirito and company’s next great adventure is put into motion. Who’s to say what impact the genius scientist will have on their lives after everything is said and done? Seven is the Pooka avatar of Professor Sharvin Nanairo, the youthful Russian girl known for her genius in science. The leader of Shamrock, she and Akihiko Kayaba are often referred to as opposites. Her appearance in the game is the same as that in the real world. Rein is a Leprechaun character who, in spite of her dainty looks, is actually extremely proficient with Hide skills. 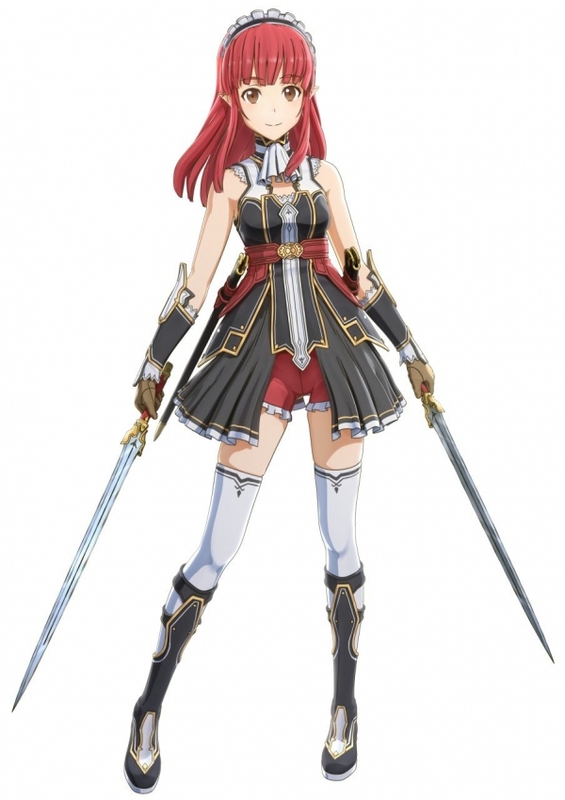 An air of mystery surrounds her, as she has a habit of following Kirito and the others around. Though she has a stigma for being called a liar, there may well be more to her story that’s not apparent on the surface. Sumeragi is an Undine swordsman who also happens to be the leader in practice of Shamrock. As Seven’s bodyguard, his strength is the real deal, having apparently even bested the legendary Demonic Sword Gram. Standard Attack – A basic attack useful for combos. You can connect these to strong attacks and sword skills. Strong Attack – A more powerful attack. When used in combination with standard attacks, you can link them with sword skills. Step – A step action that consumes stamina used to jump left, right, back, or forth to avoid enemy attacks. Jump – A jump to reach enemies that might be a little higher than you. Mainly useful in dungeons. 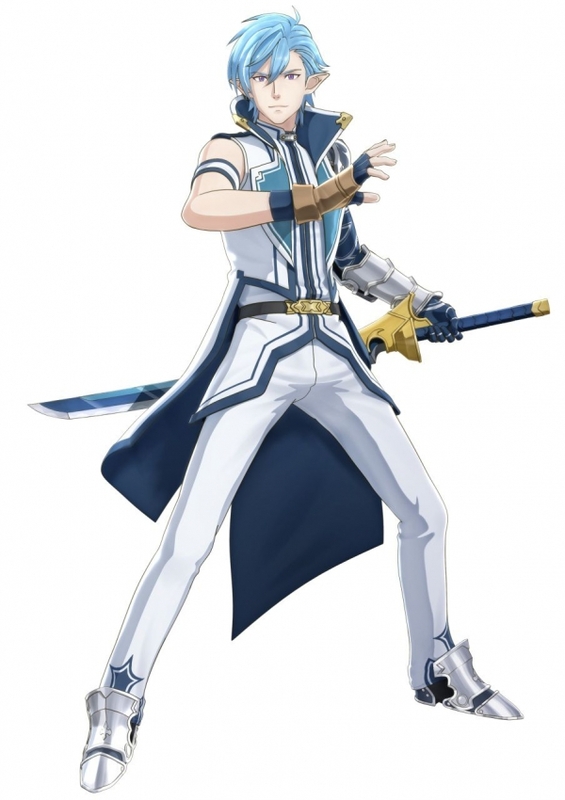 Sheathed Sword and Drawn Sword – When your sword is sheathed, you can use magic, but when your sword is drawn, you can attack with your weapon. Guard – An action to block enemy attacks. However, guards can be broken if the player takes too many hits. Dash – A dash attack that consumes stamina. When you’re flying, this increases the speed of your flight. Use of Skills – Skills are available for use with your basic attacks and steps. When you’re using a sword, you can use sword skills for sword-based magic attacks. Switch – During the middle of your attack, you can initiate a “Switch.” This is possible both on the grund and in the air, and changes the opponent’s target from you to whoever you switch with. You can play in cooperation with other players through online multiplayer. You’ll choose which character you want to play and log-in to the tavern lobby. Up to 16 players can enter the lobby, and up to four can form a party and go out on a quest. Difficult quests yield higher rewards. Sword Art Online: Lost Song is due out in Japan on March 26. Watch a new TV spot below. View a new set of screenshots at the gallery.